The RAW 200 hammer comes in a trenching box. RAW hydraulic hammers are designed with the customer in mind. Both durable and tough, we offer unbeatable power for all aspects of breaking work. Built at our factories excellent manufacturing facilities, we aim to be the pioneering force in our field. With a strong aftersales support network, we leave you with piece and mind. The RAW 200 hammer comes in a trenching box. 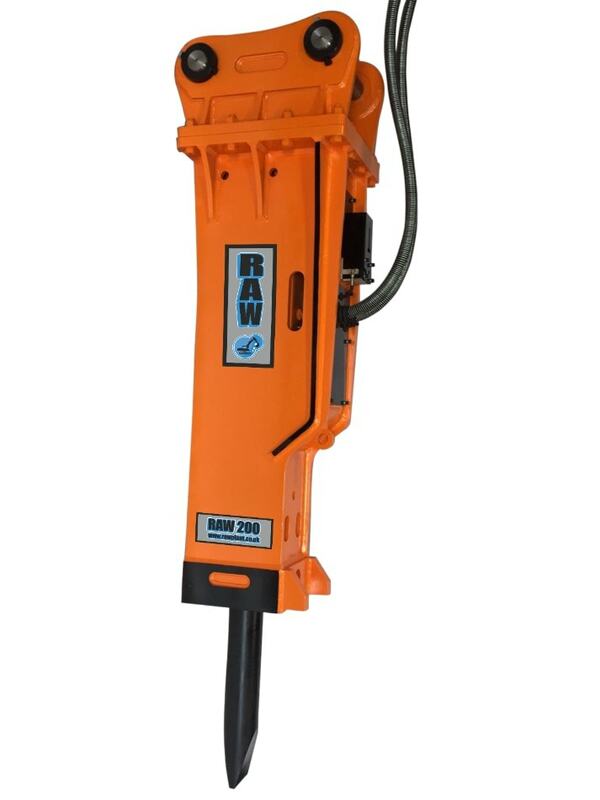 RAW hydraulic hammers are designed with the customer in mind. Both durable and tough, we offer unbeatable power for all aspects of breaking work. Built at our factories excellent manufacturing facilities, we aim to be the pioneering force in our field. With a strong after sales support network, we leave you with piece and mind. 2) Including standard mounting adapter, spare tool, hoses, quick release couplings and 2 years warranty. 5) The maximum allowed oil pressure at the breaker’s connection point to the return line (measured statically without.